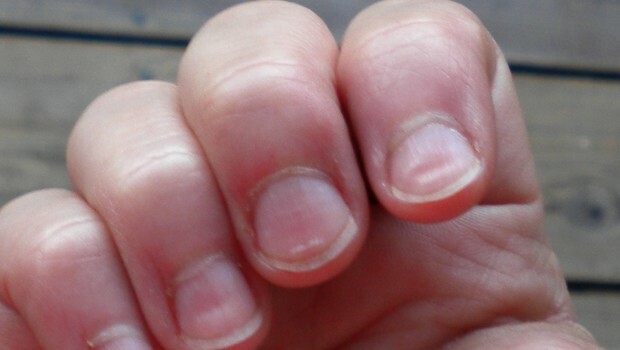 You may accidently got some splinters under your fingernail. Do you need to run to a clinic for help? No, you can remove it by yourself. Here are some tips that can help you remove it painless and costless. Calm down. No matter whether you have such experiences or not, next time you should calm down. If there are not plenty of splinters showing, you can pull at the splinter. Decrease swelling with ibuprofen. You should take a medically proper amount of ibuprofen according to the label information. It may make it easier to pull the splinter for ibuprofen can decrease swelling in the area. Get your fingernail clippers. 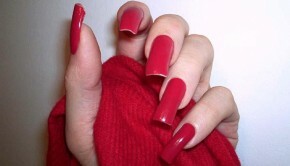 Use the clippers to clip the nail back as far as you can, but you should avoid clipping through the splinter. Create a flap of nail by clipping on one side of the splinter and rip the nail portion over the splinter by pulling the flap across. Remove the pieces from the other side with your clipper after you have cleared the splinter. Use tweezers. Get a good pair of tweezers. It’s helpful for you to pull the splinter. Give the knife, needle up. And don’t use your fingernails. A bit of the splinter may have been exposed after clipping. Then, keep your tweezers open wide to stay on both sides of splinter. Make them under the nail as far as you can. Then, close the jaws and pull the splinter. Keep doing this unless you are tearing away at the splinter. Get Elmer’s glue. If the tweezers don’t work, apply some Elmer’s glue to the head of splinter. Peel the glue off until it soak into the wood and harden and then pull it straight out. Get Ichthammol in the pharmacy. 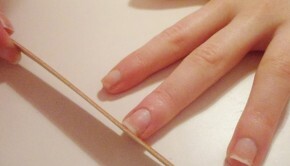 Apply proper amount of that onto the front of nail around the splinter and put band-aid one it. The smell of Ichthammol may not be good just like tar, but keep it on the nail for one night. The next day, pull the splinter out after peeling off the band-aid. Leave it alone. If the pain is not great and all methods don’t work, you can just leave it alone, it may be push out as the fingernail grow out. Soften the splinter. Put your finger in the ice cold water. After 15-20 minutes, the splinter will be soften. You should use right tools to dig at the splinter otherwise it may be broken off deeper. Don’t use your hands. It will make it go deeper. You can use topical analgesic to numb the area temporarily. Seek medical advice to avoid complication if the splinter contains metal or it’s severe. Do not continue the medical procedures if severe pain or bleeding is caused.